"Red Tide". Hermosa Beach, 10/25/11 @ 10:44 PM. ISO 3200, 3 second exposure. 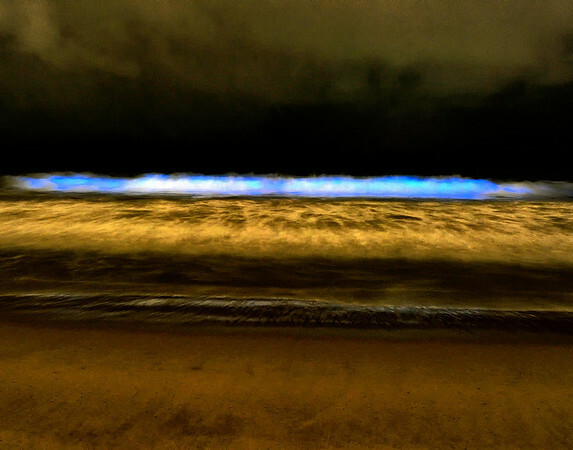 Bioluminescent waves glow a vivid blue as waves crash ashore.